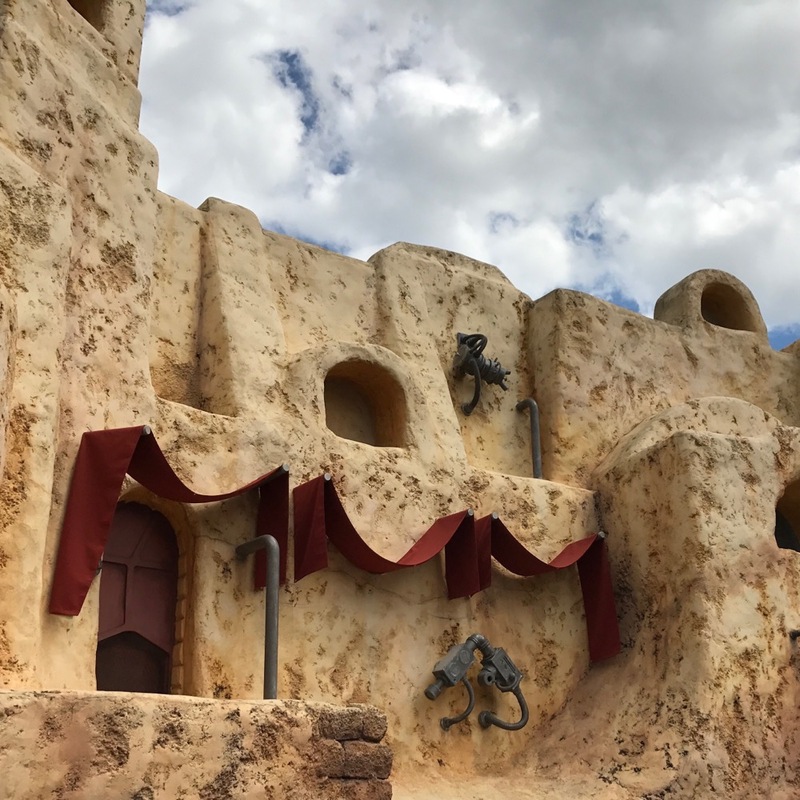 The public was recently treated to a preview of the new Star Wars themed areas at Disneyland/Disney World that was accompanied, most appropriately, by a John Williams soundtrack. The new parks, called “Star Wars: Galaxy’s Edge,” look as amazing as their $24 billion dollar price tags suggest they would. With openings in summer and fall of next year, respectively, the days of counting down will soon be starting for fans. Watching this video reminded me of why Disney World is one of my two favorite places to visit. Everything is so meticulously crafted, down to the smallest details, for the enjoyment of the guest. So much care is taken to transport everyone who enters the parks into fantasy worlds so tightly woven together that the real world barely even creeps in at the seams. The new Star Wars parks are reportedly going to have Star Wars themed food, allowing visitors to immerse even their taste buds in culinary delights from a galaxy far, far away. The fabricated landscapes will be a reminder of the terrains from Star Wars films. As with all of the Disney parks, power cables are sure to be carefully tucked away, entrances and exits of cast members portraying galactic heroes and villains cleverly hidden from view. Cards can be loaded up with the lingua franca of digital park currency so money need not be thought of while inside the premises. Obfuscating mammon is just another way of abstracting park life from the real world. By contrast my other favorite place to visit is in the Rocky Mountains in Colorado, almost the opposite of the carefully man-made artifice of the Disney parks. 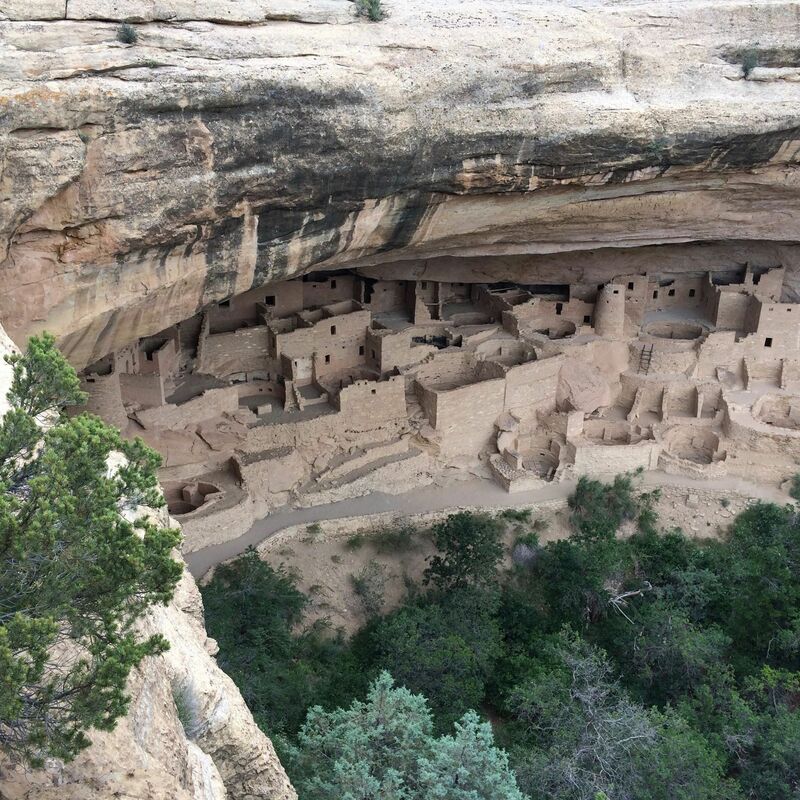 I love staying in the high desert, but the National Park at Mesa Verde, where people long ago built cities into the rock of the cliffs is another favorite spot. In Colorado, nature barely seems to have succumbed to any attempts to tame it. The wild creeps in almost everywhere in this part of the country. Ghost towns that didn’t survive the sometimes harsh climate are accessed via uneven gravel roads that take skill to drive on and punish your car for the effort. Mountains tower almost everywhere you look, practically daring you to try and scale their lofty heights. Signs along the road remind you boulders might fall on you at any time, bursting the illusion that your car can protect you from the crumbling landscape. Summer in the high desert offers warm temps during the day and a cool break from the heat at night. Here in North Carolina, during the summer, there is no respite from the punishing heat and humidity. Even the nights are oppressively muggy. In the Rockies, when the dry air of the desert gets to you, the humidity of the ice grottos are not far away. If you don’t like your climate, get in your car and drive an hour or two (at least in the summer). Places to stop your car and just admire the beauty of the landscape are setup all over the Colorado roads. I’ve even seen someone stop, break out a chair, and start reading a book. In many ways, these places couldn’t be more different, but each offers something at its best. Seeing God’s unaltered creation in the magnificence of the mountains or enjoying what man can create with skill and ingenuity both offer enormous appeal to this traveler.